Are you an adult in with misaligned teeth? Do you regret not having orthodontic treatment when you were a teen? At the Mt. Vernon Center for Dentistry in Alexandria, it’s not too late to straighten your teeth. 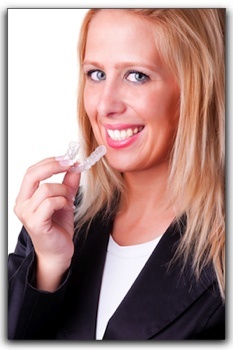 Invisalign clear braces produce excellent results in many patients. Unlike traditional braces, there are no wires or brackets or rubber bands. Even better, they are almost undetectable to people who are standing just a few feet away from you. Invisalign clear braces are so undetectable that some people call them invisible. They look a lot like an athlete’s mouth guard. The proper term for such braces is “aligner.” A series of them gradually bring teeth into alignment. At Mt. Vernon Center For Dentistry in Alexandria we offer clear braces from Invisalign. Other services include family dentistry. Call our office today to schedule an appointment.